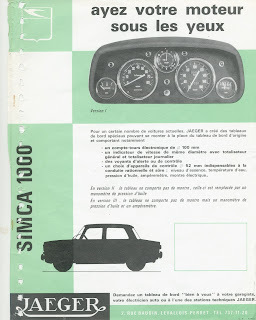 I made some pictures of the tableau that i showed yesterday, placed in my car (Citroen DS 21 Pallas 1970). Nice arrangement! Where can I get these instruments for tolrable prices? 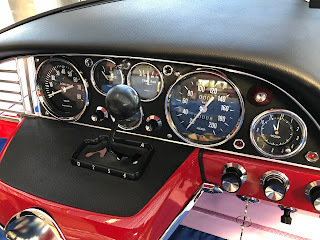 I want to pimp-up my own "Standard" Citroen-DS car dashboard like this as well. thanks for your reaction! 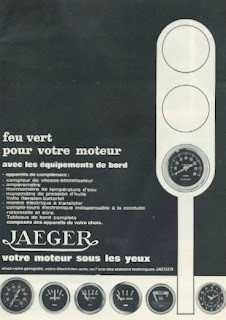 For the last dash in the DS there is no standard panel from Jaeger, there are a few possibilities. If you go through the site you see several. Most important question is: do you want 100 or 80 mm meters! The 80 mm are cheaper and i think better quality then the 100 mm, who are older and most of the time need some restoration. You also can use black bezel instruments that are from the seventies and easier to find for a better price. The combi instrument is unique, very rare but no jaeger product. So the price depends on what you want. I have some instruments available, black bezel , big instruments 80 mm complete, and 80 mm chrome bezel I have to look. The panel Is not so difficult to make.